Child Dedications are a special time to recognize and celebrate a parent’s commitment to raising their child in the Christian faith as well as the church’s commitment to partnering with and supporting parents. This celebration is a great time to invite family and friends as the parents and child will be recognized and prayed for from stage by the Kids Pastor. 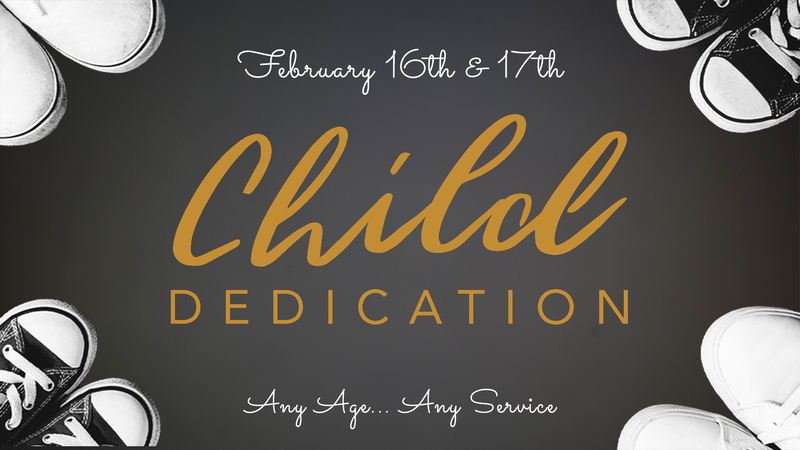 This is open to any child, any age, during all three services the weekend of February 16 & 17.